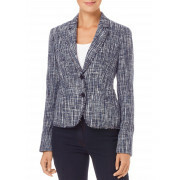 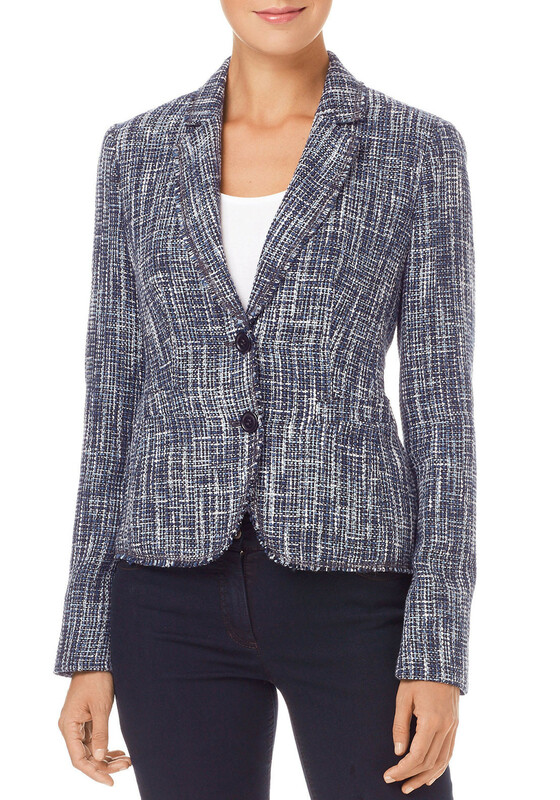 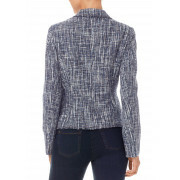 Chic and elegant, this boucle jacket from Gerry Weber would be a stylish layer to wear with a blouse and trousers or a dress. 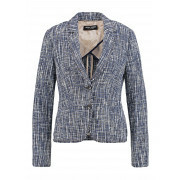 Made from soft cotton blend tweed in various tones of navy and blue. 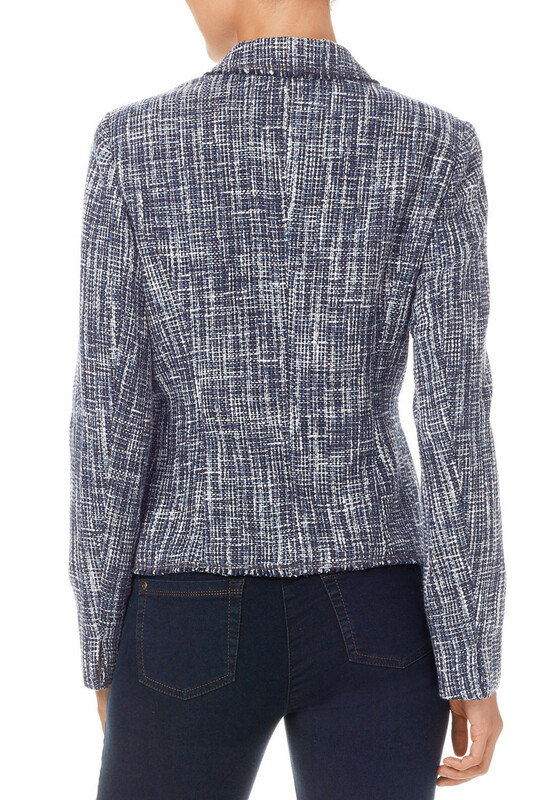 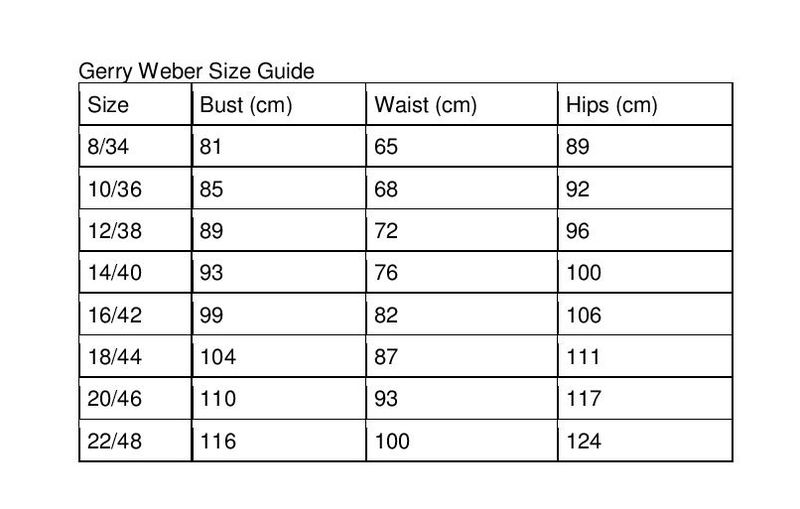 Styled with a boxy shape and waist length. 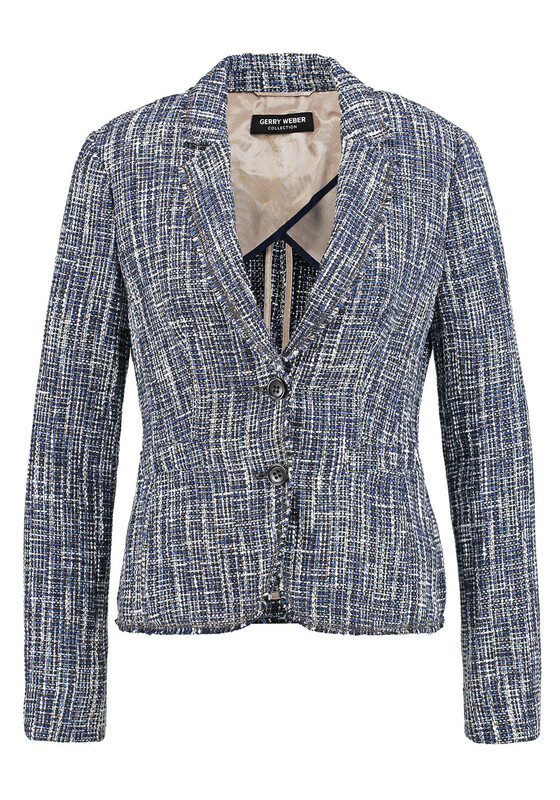 Featuring a lapel collar, button fastenings and frayed hems.